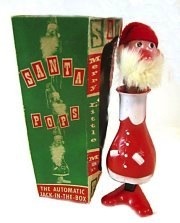 This is a Santa Pops with the original box. 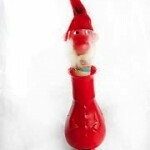 But for some of us, we can remember one of Jackson’s major contributions to the holidays that was truly unique. Some of the most original, clever and cutting edge toys ever designed and manufactured came from Jackson. 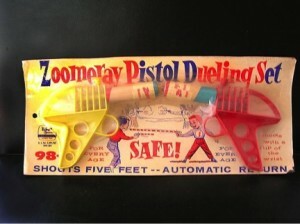 What’s more, many of us, as kids, got to test them out before they were mass produced. 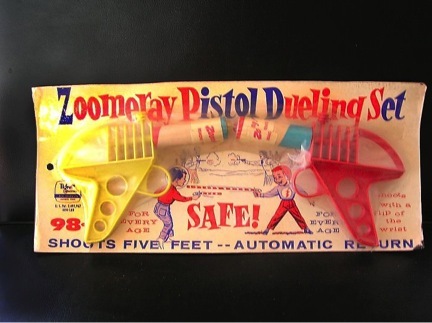 There’s something magic about someone asking you to test a toy… if you are NINE! Adults didn’t ask for your opinion about much back then. 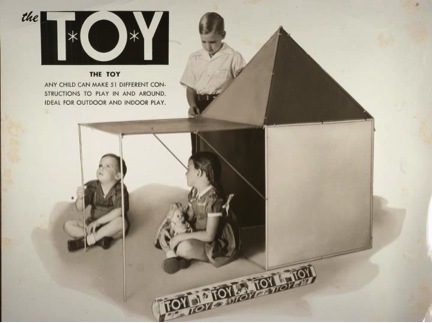 But to join a dozen other kids and play for several hours with toys that were not in any store, anywhere, and have adults interested in your opinion of their creative efforts. That creates a memory. A white 1955 Chevy Suburban with Tigrett Industries written on the door, would pick everyone up, much like the crew for an Apollo Mission (which happened 20 years later). 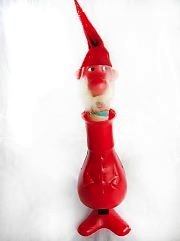 The job was to evaluate a string of (what would become) unprecedented toy successes and national and international stories. 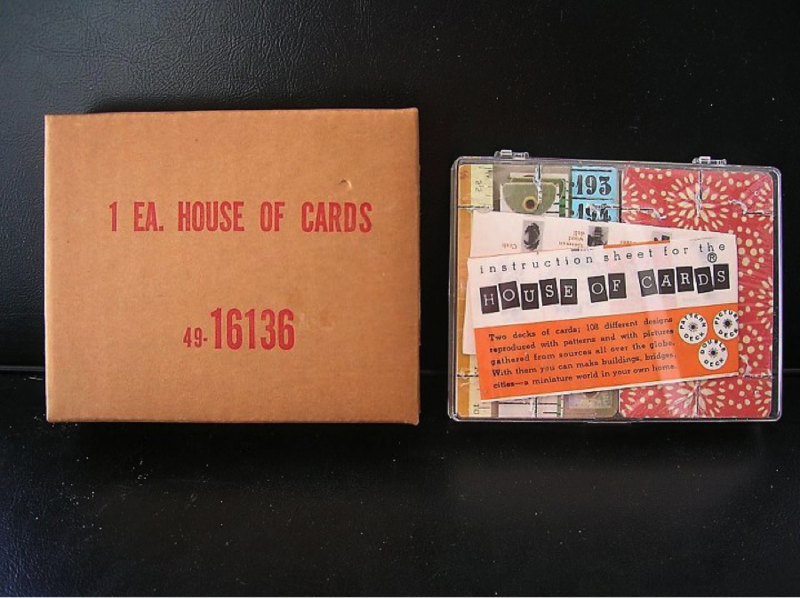 One of the first was The House of Cards, designed by Charles and Ray Eames, they were playing card sized boards with various images that fit together with tiny slits. 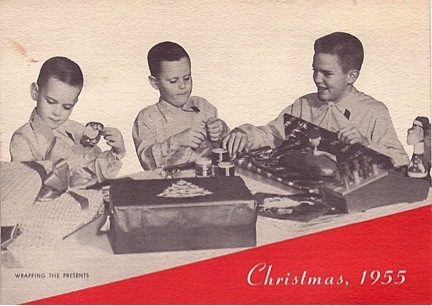 You could build structures with the cards without tools or adhesives. Another Eames designed toy was designed as die cut shapes to color and attach together. 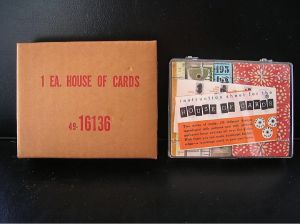 The Eames House of Cards, now a collector's item was an early Tigrett international success. 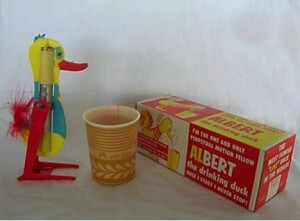 One of the most popular toys was Albert, a seesaw design that transferred a liquid in an enclosed vial toward the birds beak. A wick that, immediately after dipping in water, produced a drop in temperature due to condensation which transferred the weight back to the bill. Then it would reach a horizontal position the weight would transfer back to the tail, but only after the bill had become wet again to start the process once more. 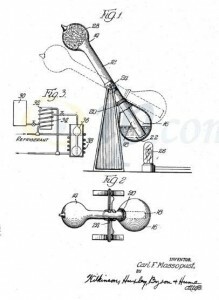 It was advertised as “the one and only perpetual motion machine”. 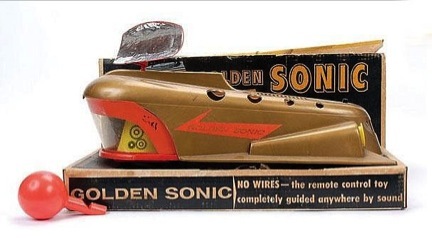 Whether it broke the rules of thermodynamics or not, it sold millions of units. 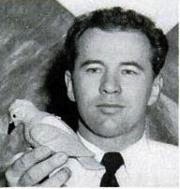 Fritz profiled in Popular Mechanics shows Yogi, which by June of that year had earned him more than a half million dollars according to the article. 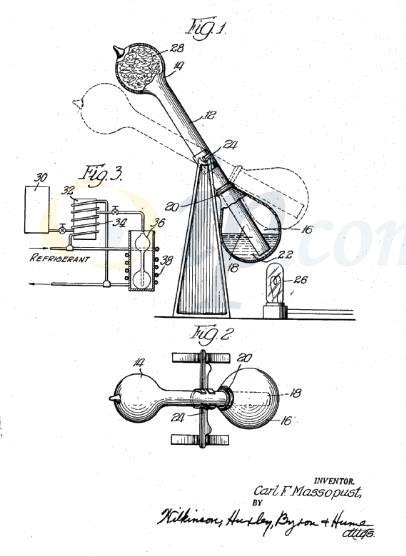 He developed a less aggressive version of a suction cup that would hold tightly for a few seconds, release easily and allow another cup to take its place as a wheel of 5 cups moved the device up a smooth surface. This is the Wigal helicopter prototype. According to eye witnesses the device did leave the ground but was not stable. The Zoomaray was another entry into the Tigrett successes. 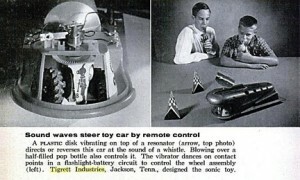 These are not all of the toys produced, and these are not all of the stories surrounding John Burton Tigrett. He wrote an autobiography, “Fair and Square” which tells more about his successes as well as his tragedies. His book can be found on eBay from time to time. In it, you discover that the remarkable success of Tigrett Industries is but a tiny chapter of a personal adventure on an international scale. Hewitt, Isaac and Johnny Tigrett wrap toys on the Tigrett Christmas Card, 1955. 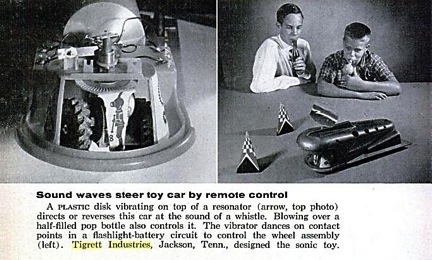 Most of the toys and all of the research was thanks to Steve Hamilton, a certified nine-year-old Tigrett Toy Tester who owns the toys to this day. He lives with his wife Sheila Hamilton on Manasota Key in Florida.